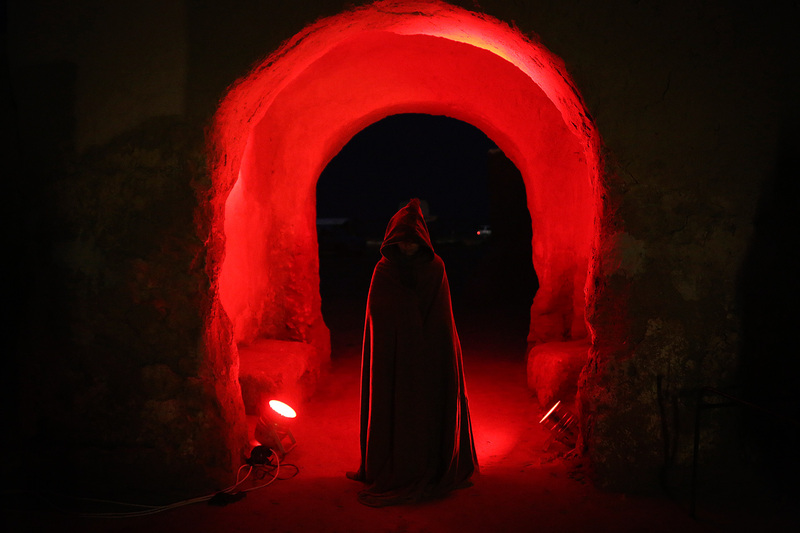 Above: A woman dressed in a traditional Tunisian robe (the inspiration for Star Wars' Jawa costume) at the Dunes Electroniques festival in Ong Jemel, southern Tunisia, February 21, 2015. 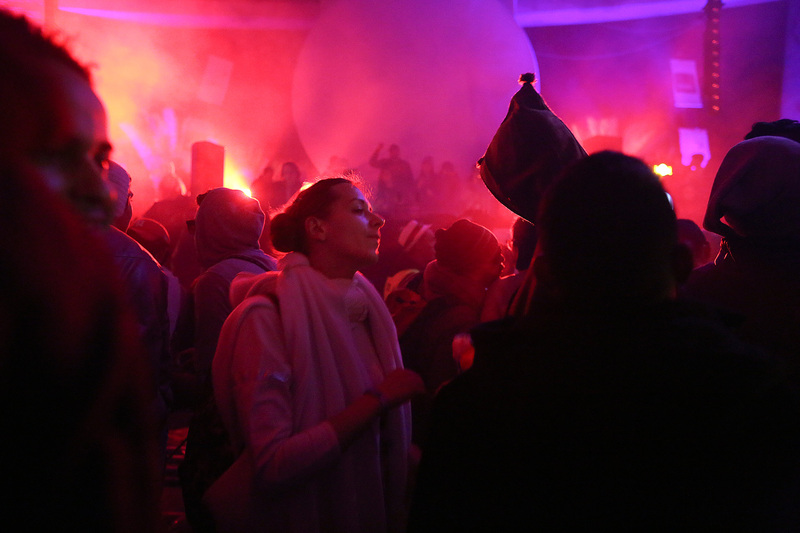 NEFTA, Tunisia — The Dunes Electroniques dance festival opens to the mellow beats of one of Tunisia’s biggest up-and-coming DJs on a stage planted in the middle of the Sahara. It is a surreal sight. 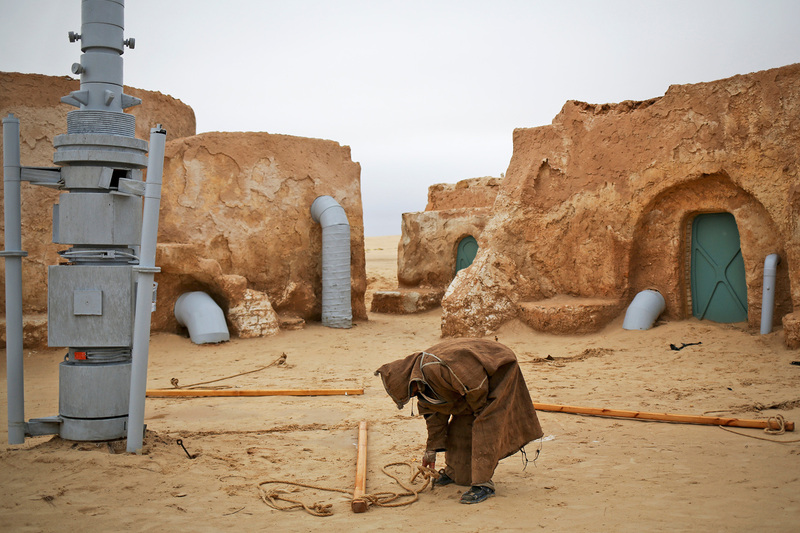 The festival setting is cocooned by sand dunes, and the backstage area is the film set for the town of Mos Espa on the fictional planet of Tatooine. 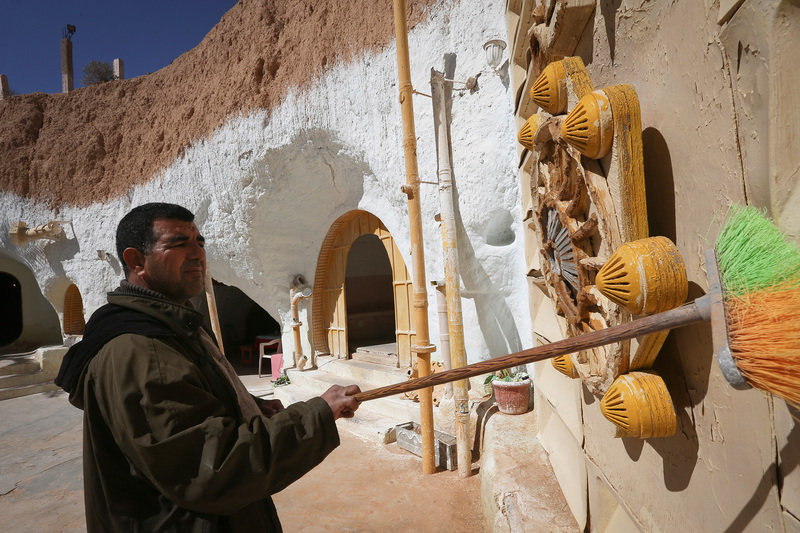 The “Star Wars” films used southern Tunisia as their dusty backdrop, borrowing heavily from traditional Berber fashion and architecture. 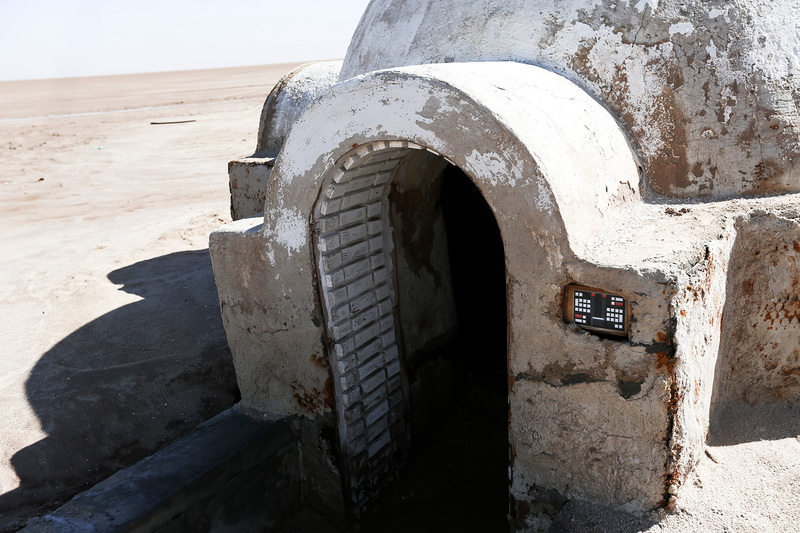 Of course, Mos Espa is a made-up name. 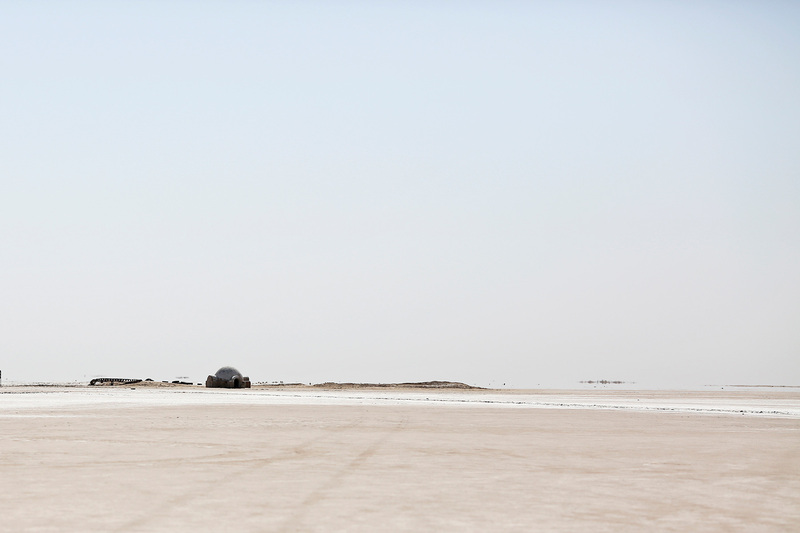 Tunisians call the place where the festival is being held Ong Jemal (“neck of the camel”), near the villages of Nefta and Tozeur, which lie on the edge of the vast Chott el-Gharsa salt lake. 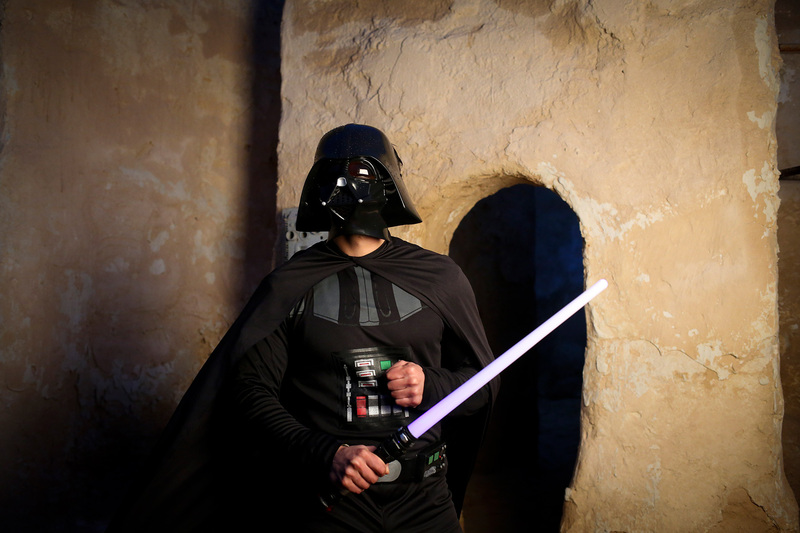 But some in the local crowd embrace the “Star Wars” theme, donning Darth Vader masks or sporting Princess Leia hair. 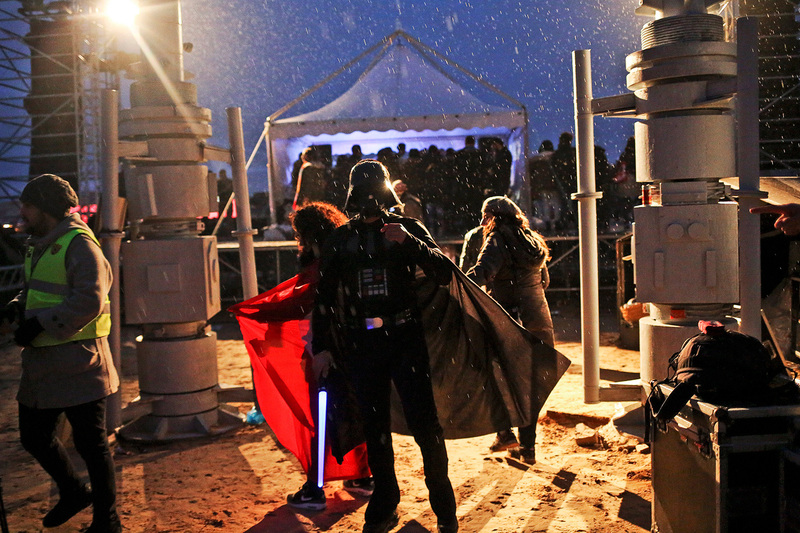 Some dancers opt for selfie sticks to wave in the air; others brandish lightsabers. At first glance, it could be a dance festival anywhere in the world, but it’s distinctively Tunisian. 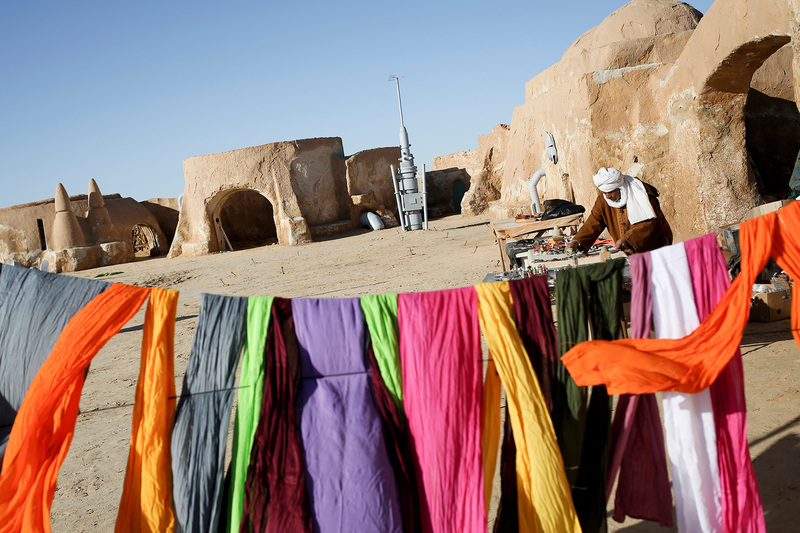 Hipsters from the capital dance alongside locals wearing traditional burnooses, the long brown wool cloaks well known to “Star Wars” fans, over their jeans. The clash of modern with the old at the unusual event strikes a chord with some of the cultural shifts, economic issues and political transitions that Tunisia is facing in tumultuous times. Click and drag the photo to view the full panorama. A military helicopter swoops down over the dunes, with airmen playfully waving at the crowd. The event’s organizers have been in close communication with the Interior Ministry, and more than 1,000 security officers are on hand to assure that everything runs smoothly. For some young Tunisians, the sight of so many police vans in the desert brings back memories of repression during Arab Spring protests. But others are reassured by the tight police presence. Skander Jabnouni, a 20-year-old from Nefta, gives a thumbs-up to the chopper as the pilot angles in for another screwdriver. Tunisian DJ Deena Abdelwahed keeps her cool as a team of technicians makes final adjustments ahead of her set. 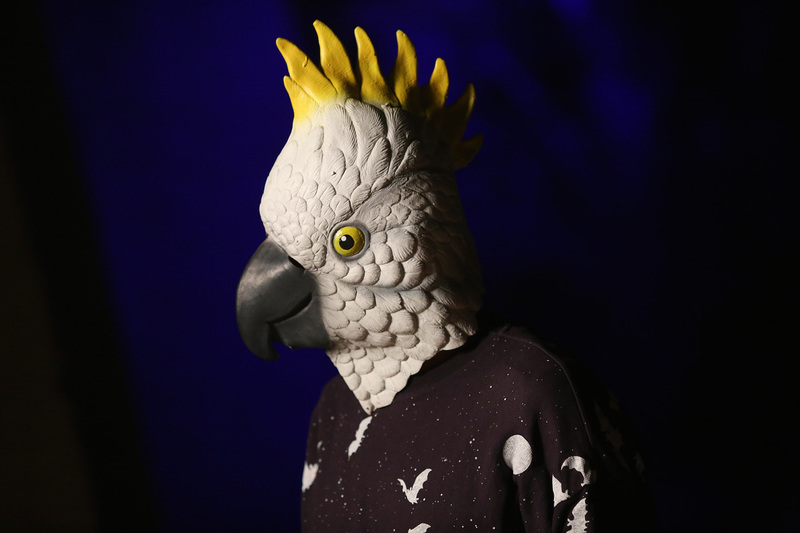 The previous night’s show was canceled because of torrential rains. The Sahara sky is ominously overcast, but so far, the weather is holding. For the Tunisian performers especially, the event is exceptional. Abdelwahed was originally supposed to play on opening night. She’s thrilled to be here, taking advantage of a rare occasion to play for a large crowd in a country not always hospitable to avant-garde musicians. Seifeddine Manai, a world-class choreographer and dancer, shares these sentiments. He lives in France and is invited to many international festivals. If it hadn’t been for the rain, it would have been his second time performing in his homeland. Manai says he is trying to make the cultural landscape less top-down and more youth-oriented. Brotha From Another Motha, his collective, works with young dancers from difficult backgrounds. 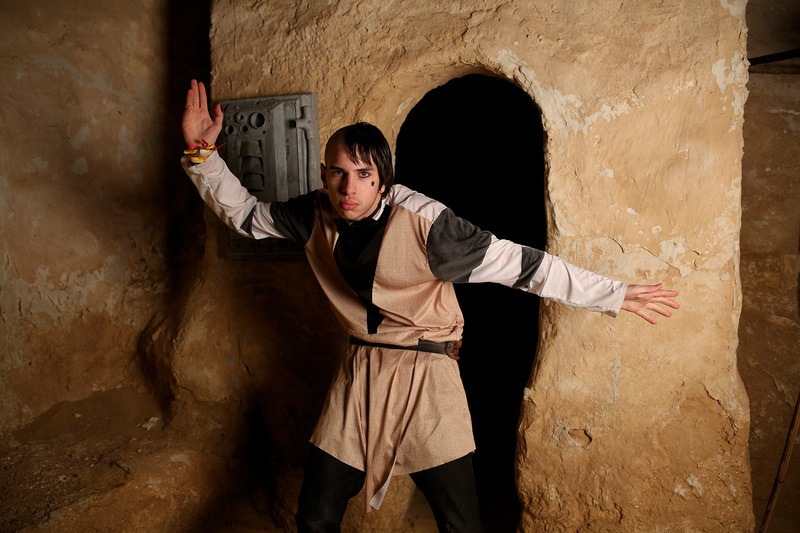 His dance style is hip-hop, influenced by contemporary Maghreb youth culture. For this small North African country, such festivals carry seeds of hope for the future — culturally as well as economically. Tourism has suffered in recent years, struck hard by the economic downturn in Europe and by international perceptions of insecurity. The country’s tourism model is still dominated by low-budget package holidays focusing on a predominantly middle-aged clientele. Dunes Electroniques appeals to a younger, more adventurous market, outside the usual tourist season. 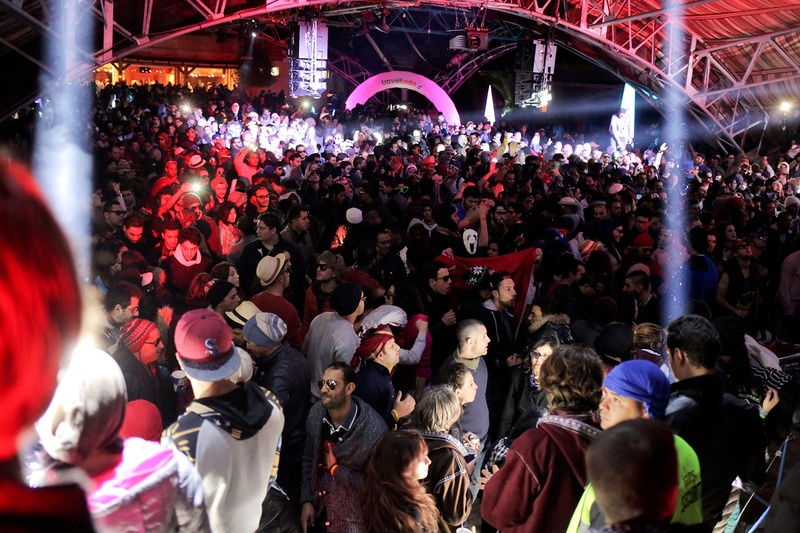 “We’re creating a new image of Tunisia — that we don’t live in fear, that we like to party,” says Patrick Ouerghi, who runs the Dar HI Hotel in Nefta and is one of the event’s organizers. 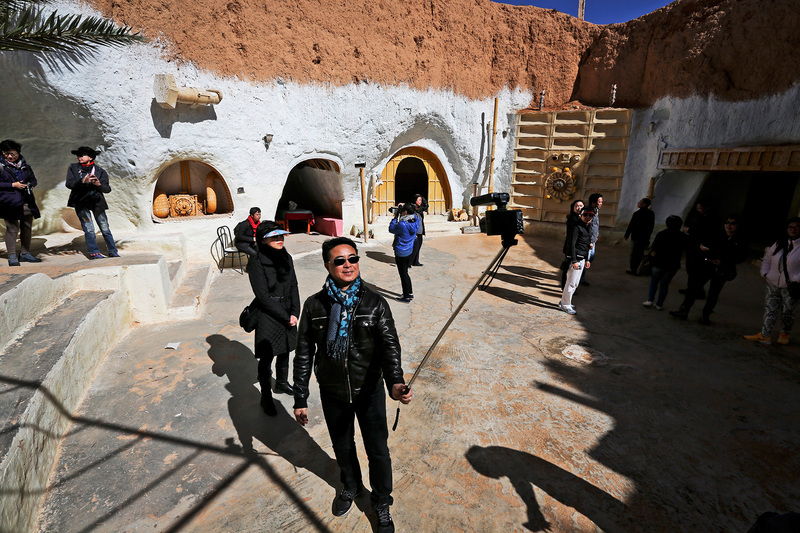 Wahida Jaiet, the director of the National Tourism Office, says the festival fits with the Tourism Ministry’s broader strategy of rebranding southwestern Tunisia. “The success of the event is also the success of the region,” Jaiet says, adding that the festival is an opportunity to give new energy to the local economy by encouraging locals to be involved. 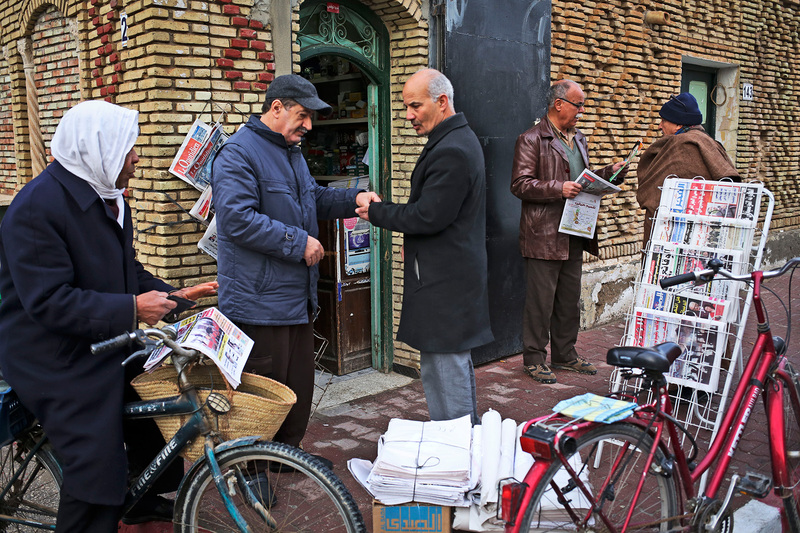 In the main square of Tozeur, souvenir shops were doing bustling trade. In a boutique stacked to the roof with leather handcrafts, exquisite ceramics, water pipes and traditional slippers, Akam Miadi is in good spirits. He has even printed his own Dunes Electroniques T-shirts, which he says are going fast. 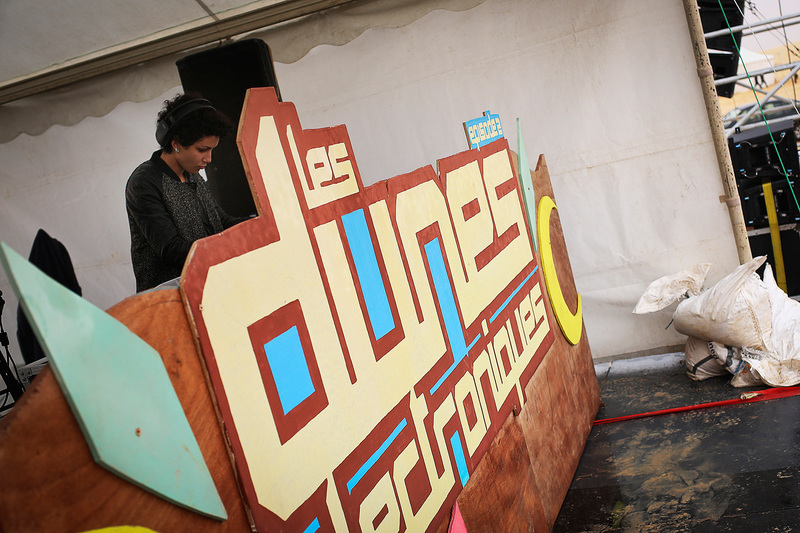 After nearly five years of false starts, it wasn’t until February 2014 — a month after the new constitution was passed — that the first edition of Dunes Electroniques finally came together. 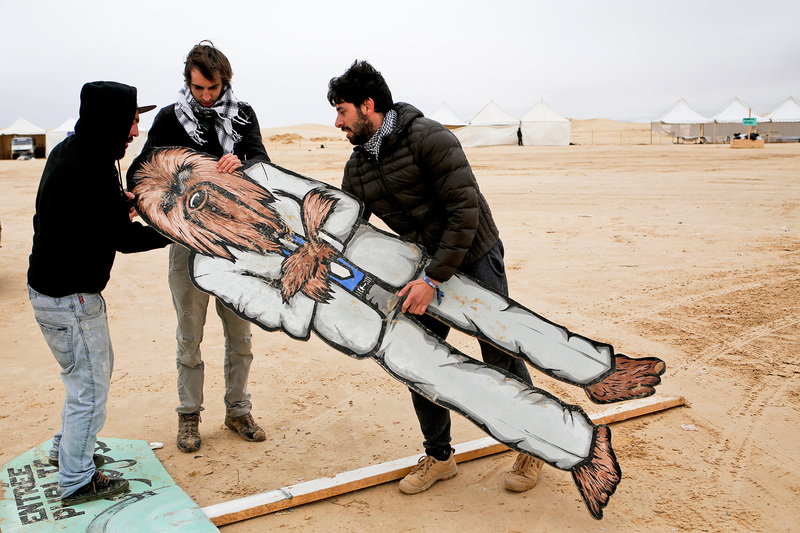 “It was the first time that [young Tunisians] had been able to attend a festival like this,” says Benoit Geli, one of the brains behind Dunes Electroniques. 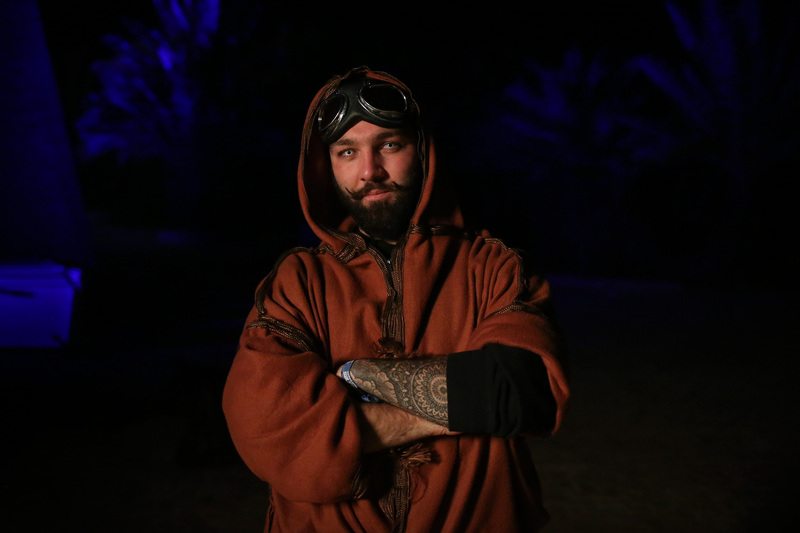 He is an event organizer from Nice, France, and his team has adapted the Plages Electroniques festival from the French Riviera to the Tunisian desert. 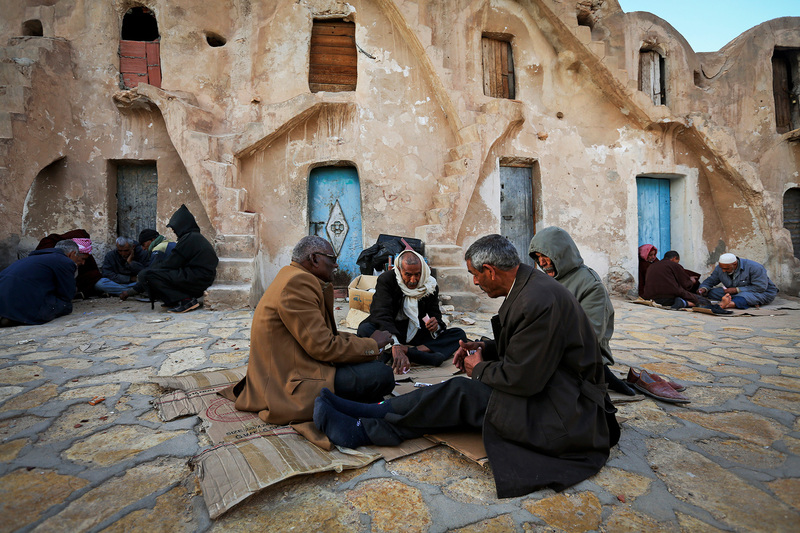 Tunisia, for all its political instability and deep divides, can sometimes appear immune from much of the violence that blights much of the rest of the region. 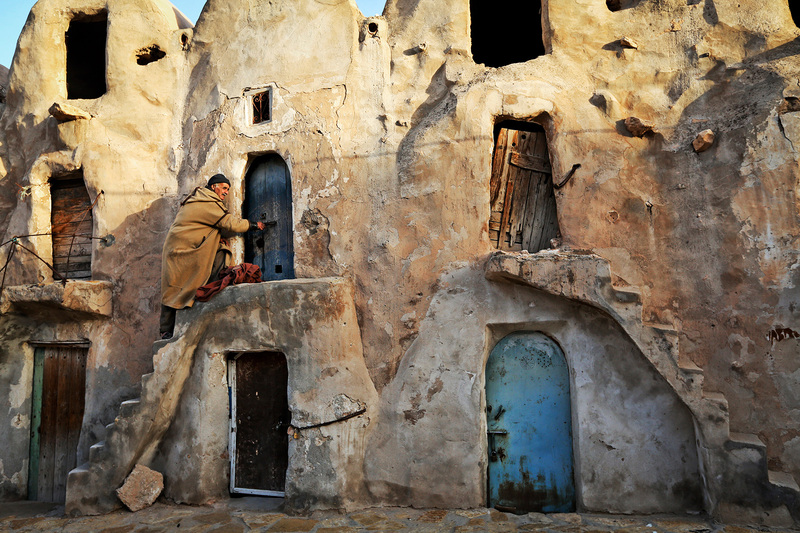 And the feel-good atmosphere of Dunes Electroniques is in tune with some people’s idea of a Tunisian exceptionalism. Yet whether Tunisia will remain immune from regional tensions is increasingly unclear. 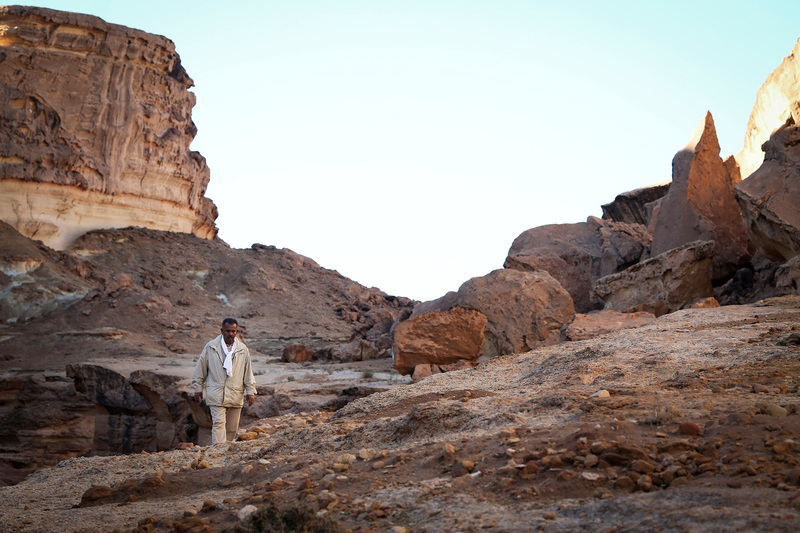 Security forces have for months been battling with armed groups hiding out on Mount Chaambi, on the border with Algeria. There are also the approximately 5,000 young Tunisians believed to be fighting in Syria and Iraq, many of whom are thought to be members of the Islamic State in Iraq and the Levant (ISIL). As many as 2,000 are estimated to have been killed in that conflict, and an unknown number are being held by Syrian President Bashar al-Assad’s government. But sooner or later, many are likely to return home, battle hardened and posing a serious domestic challenge for Tunisian authorities. Then there is the chaotic violence gripping neighboring Libya, which is divided between two competing governments and a tangled web of militias. As talks stall, ISIL has gained a foothold in the Libyan town of Sirte, 600 miles to the east of the festival venue. On Saturday the ultra-conservative group Hizb ut-Tahrir held a small protest in Tozeur against the festival, arguing that it went against local values. The next morning, a car drove through the main square with a man yelling “God is great” and waving the group’s flag bearing the Islamic testament of faith. While the number of tickets sold this year — 6,500 — fell short of a projected 10,000 visitors, the hotels and shops in Tozeur and Nefta enjoyed record sales for February. Despite the bad weather and organizational issues, most of the young people interviewed said they planned to return next time. Emna Bouguira, a 23-year-old medical intern, had spent half her first-ever monthly paycheck for a two-day pass — $155, the equivalent of one month’s minimum wage here. Interviewed at a rest stop on the six-hour drive back to Tunis, she says she had had a “mixed” experience. “The music was good, but it was badly organized,” she says. But for her and others, it was a chance to see the Tozeur region for the first time, and she would like to return. “Young Tunisians, we like to have fun. We like this atmosphere,” says Atef Braham, an electrical engineering student from the coastal town of Monastir. “This is the real Tunisia,” he says, taking a sip through the straw hooking up to his beer helmet. Additional reporting by Mohamed Ali Mahfoudh.